Roe bucks are quite a special animal to me. 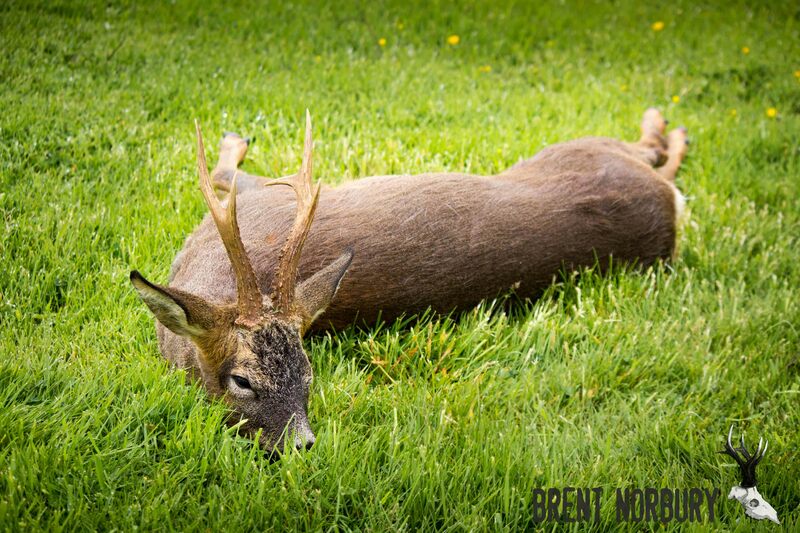 Throughout the season I see plenty bucks shot of different sizes and shapes but they always have their own story. 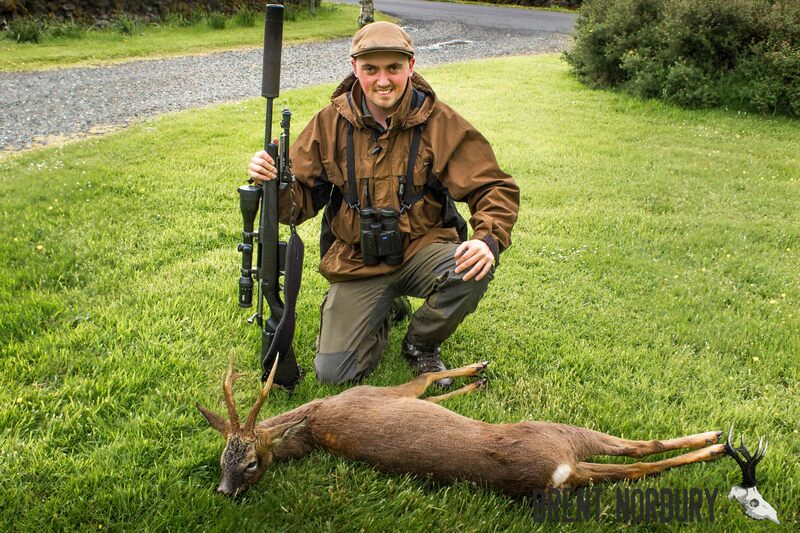 In Scotland the roe buck season starts the 1st of April and finishes the 20th of October. The best time of the year to hunt these beautiful animals is in the end of April when the roe bucks have cleaned the velvet from their antlers and May before the vegetation grows too thick, which makes stalking difficult. In June and to the middle of July this when they can be less active but you can still get one is you are in the right place at the right time. Alternatively, exciting stalking can be had in Scotland during the rut, 3rd week of July until the middle of August. 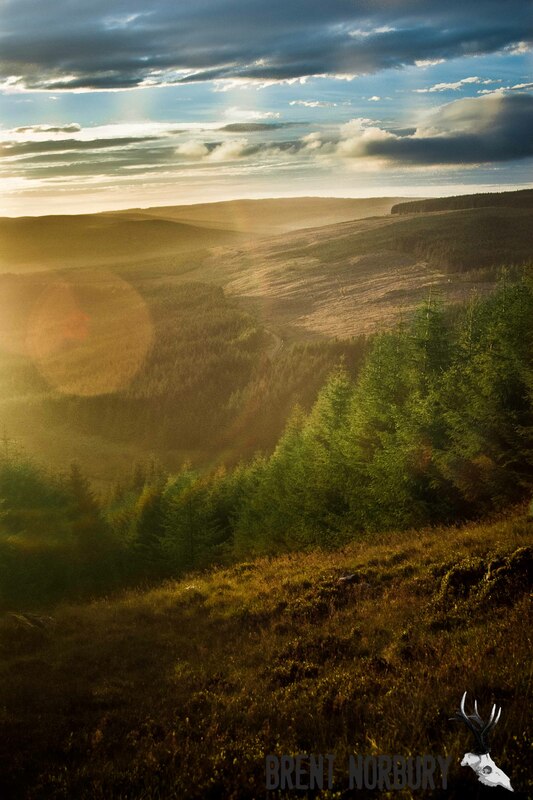 Scotland offers high quality roe buck stalking, from hunting in the forests to hunting bucks out on the open hill. 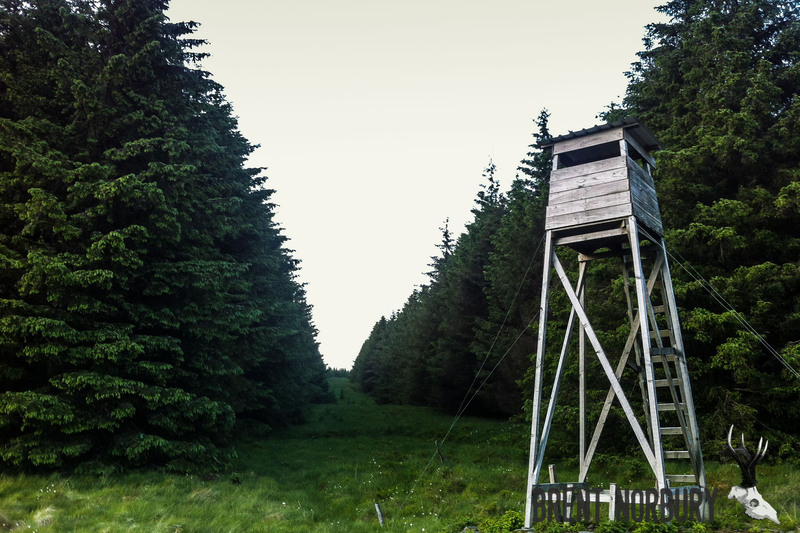 The perfect landscape for hunting roe bucks. Last year in the end of June after a day of stacking logs at work my boss said that we will go to the forest in the evening so I can go and find myself a roe buck… I wasn’t expecting my evening to turn out the way it did. We got to the forest a bit late so I decided to sit in a highseat. I would rather of liked to be stalking but with the time against me sitting in a highseat was the best option. Looking out the front of the highseat was an open replanted area of young trees and behind is mature standing timber and a long ride going up hill. The highseat I sat in looking up the ride. It was a great evening. Sun setting over the hills, a little wind and not being bitten by midges too often. I couldn’t ask for more. I was expecting to see deer out in front of me in the young trees but I didn’t see anything. Spying the ground extensively. After 10 minutes of sitting there I spied in front and then I looked other shoulder up the ride. There was buck! 100yds away walking from left to right. Looked through my binoculars. He looked like an OK buck but I didn’t have a lot of time to study him so I took the decision to take him. I had to turn around completely and has soon as I put the rifle out on the rest of the highseat he started moving quickly. So I whistled at him and he stopped and looked standing broadside. As soon as I put the cross hairs on his chest I squeezed the trigger and fired. He dropped on the spot. I kept my eyes on him for any movements but he was completely still. After 5 minutes I climbed down the highseat to have a look. While walking up I started thinking ‘This might be a good buck’. I was ready with the rifle just incase. Then I saw him laying there stone dead. It is a very good buck!. I couldn’t believe it! A nice very surprise. My buck on the ride where I shot him. I was looking at the buck for quite awhile trying to take it all in. Defiantly the biggest buck I have shot so far. I got a few photos of him then I realised the midges had found me… Quickly dragged the buck out to the road where there was a slight breeze. As soon as I started gralloching there was no wind… I got eaten alive! No face net and pulling my sleeves up to do the gralloch (Gut the deer) made it worse. It had to be the quickest gralloch record! When my boss picked me up he said that it could be the biggest buck of the season shot in this forest. 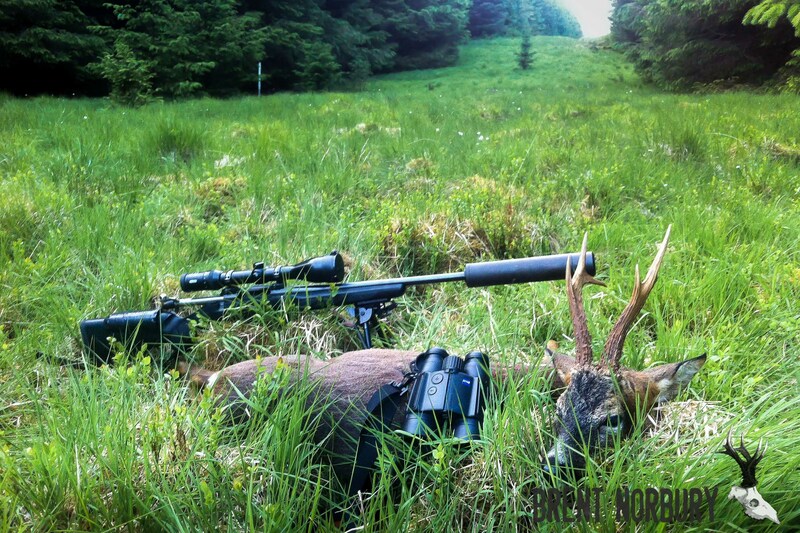 For an upland buck he is very hard to beat. I would of liked to get him mounted but sadly his cape wasn’t too good as he was still in complete winter coat so the hair was falling out. He is now on my wall with my other roe buck but he really stands out from the rest!